Following a recent inspection by an Environmental Health Technician, Runnymede Borough Council's Environmental Protection Division have given the Royal Marine a Food Safety Award. 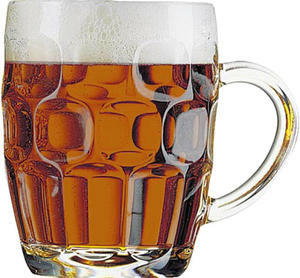 The Council's scheme is designed to reward businesses that meet a high standard of food safety. 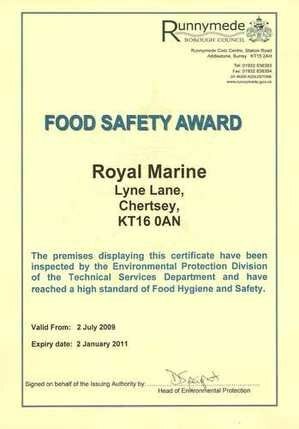 Whilst all catering establishments are expected to operate in accordance with food safety hygiene legislation, the Royal Marine has demonstrated a commitment to a quality significantly above that level. high levels of staff awareness and/or training on food safety issues. The actual certificate can be seen proudly displayed in the bar of the Royal Marine.